Farhan Haq, United Nations spokesperson, said on Wednesday that about 2,500 people had been displaced since early December when clashes broke out with the Arakan Army, one of several groups fighting Myanmar’s military that want more autonomy for ethnic minorities. The Myanmarmilitary last month announced a four-month cessation in fighting in the north and northeast of the country, in what appeared to be a rare conciliatory move aimed at kick-starting peace talks with the armed groups. Rakhine was excluded from the pause, stoking doubts about the military’s willingness to bring an end to all the country’s conflicts. 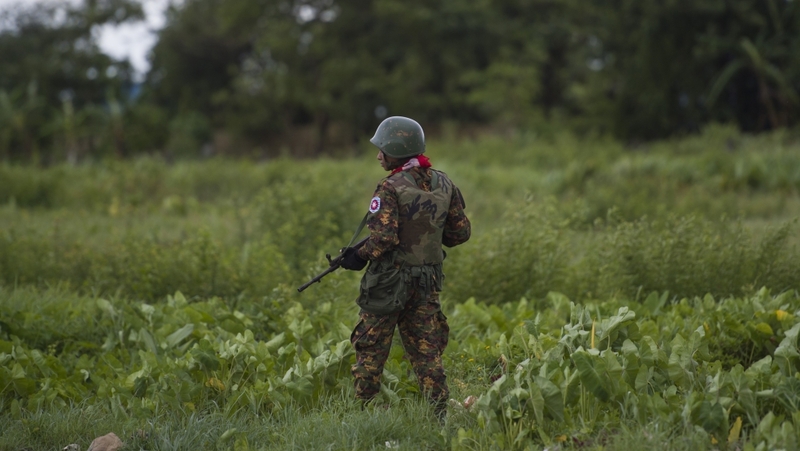 Analysts say the military left Rakhine out because it does not want the Arakan Army – which claims to represent the Rakhine, the Buddhist ethnic group who make up the majority in the state of the same name – to gain a foothold in the area and has lingering concerns over the less powerful Rohingya armed groups, who call themselves the Arakan Rohingya Salvation Army. The state-run Global New Light of Myanmar newspaper on Wednesday said that one police officer was critically wounded when border guard police were attacked by about 30 men carrying “small and heavy arms” the previous day near Saytaung, a village in the Buthidaung area. Khine Thu Kha, a spokesperson the Arakan Army, denied that the group attacked the police, but said its fighters did clash with government security forces in Saytaung on Tuesday, according to Reuters news agency. Hundreds of border guard police had been deployed in areas far from the border with Bangladesh as part of a broader military offensive against the group, Khine Thu Kha told Reuters on Wednesday. There was no immediate comment from Myanmar’s military. Rakhine state was where Myanmar’s security forces launched a brutal campaign in August 2017 that drove more than 730,000 Muslim-majority Rohingya into neighbouring Bangladesh. A report by UN investigators in August last year found that Myanmar’s military carried out mass killings and gang rapes of Rohingyas with “genocidal intent” and said the commander-in-chief and five generals should be prosecuted under international law. Last month, a human rights law group by the United States State Department to investigate the Myanmar military’s crackdown on the Rohingya, said it had found evidence of genocide and called on the international community to establish a criminal investigation into the atrocities and ensure justice for the victims.